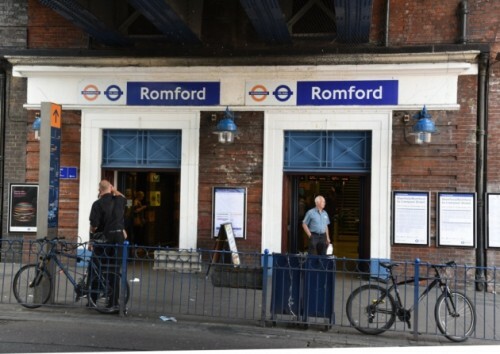 Romford railway station is an interchange station on the Great Eastern Main Line, serving the town of Romford in the London Borough of Havering, east London. It is 12 miles 30 chains (19.9 km) down the line from London Liverpool Street and is situated between Chadwell Heath and Gidea Park. It is also the northern terminus of a branch line to Upminster operated by London Overground. Its three-letter station code is RMF and it is in Travelcard Zone 6.